Rose Apple with its scientific name Syzygium aqueum, is an tropical, evergreen and low growing small tree. 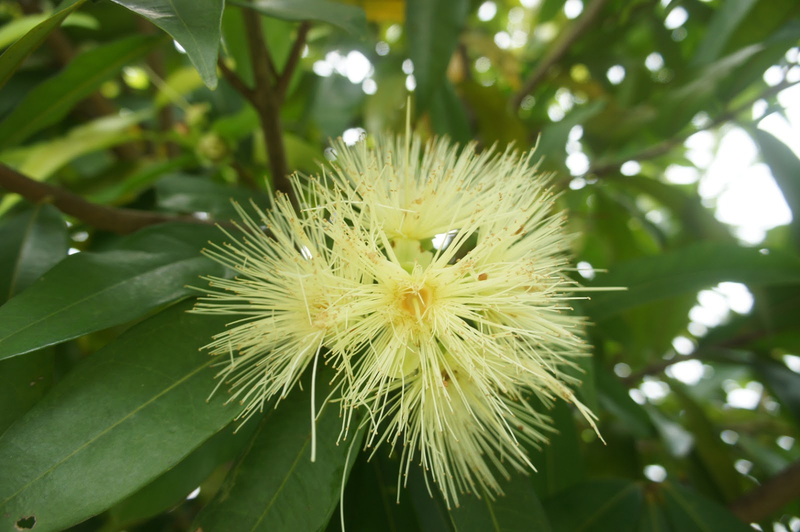 Botanically, it belongs to the Myrtaceae family and genus Syzygium. It is also called Water Apple and Bell Fruit. The Rose Apple has different names in various languages such as French: Jambosier D’eau, Pomme D’eau; Japanese: Mizu Renbu; Spanish: Manzana De Agua, Perita Costena; Thai: Machomphu-Pa, Chom Pu Pa and Malaysia: Jambu Chili, Jambu Ayer. Water Rose Apple, Malay Rose Apple, Jambu and Java Rose Apple are the four different types of Rose Apple which are grown all over the world. 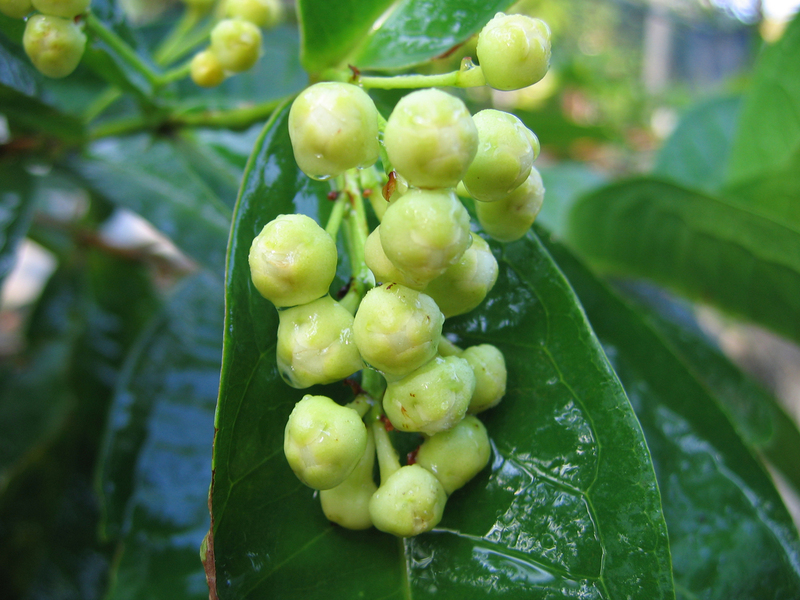 Historical reports suggest that the plant was originally indigenous to the Southeast Asian region, most probably the current country of Java, but with time, through the activity of traders, was distributed to other parts of the world. Today, the plant is cultivated in most of the tropical countries, including the Indian subcontinent and the sub-Saharan African regions (Benin, Democratic Republic of Congo, and Cameroon), as well as in South America and the warmer parts of America. Probably it was originated to the East Indies and Malaya. Besides the inherent countries, it is also cultivated in Ceylon, India, Pacific Islands and Indochina. 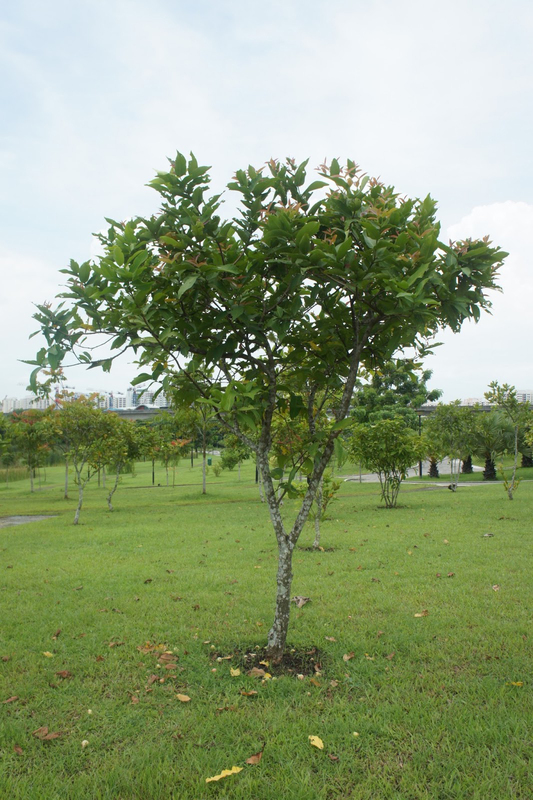 The rose apple tree grows to a height of 6 m to 15 m, and has a grayish-brown bark. 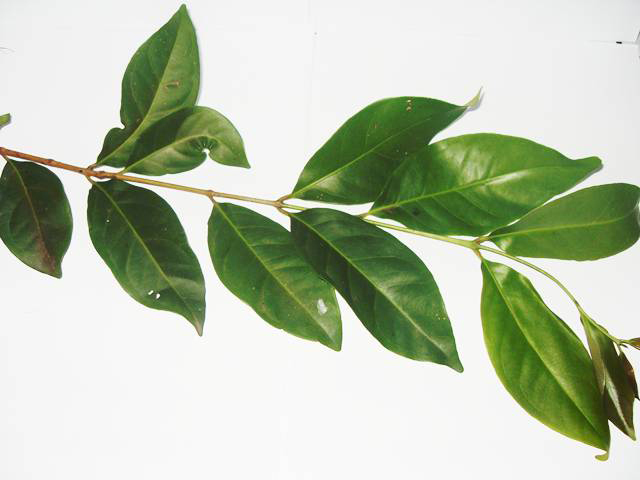 The leaves are thin, narrowly lanceolate, coriaceous, spanning a length of 10 cm to 23 cm and a width of 2.5 cm to 5 cm, with along acuminate apex, cuneate base, and petioles measuring 0.5 to 1 cm in length. The ﬂowers are terminal with single-branched cymes of about 2 cm in length. A funnel form of hypanthium, measuring about 7 to 10 mm in length, is seen to narrow into a short pseudoterminal of 3 to 4 mm length. Two pairs of ﬂeshy, unequal, persistent, glabrous or sparsely puberulent sepals are present, one pair measuring about 6 to 8 mm in length and the other 4 to 6 mm. Four orbicular to ovate-orbicular concave petals with a white to greenish-white coloration are present (12 to 20 mm in length), along with long creamy white ﬁlaments (10 to 50 mm long). The tree bears whitish- to pinkish-yellow subglobose berries with a ﬂeshy pericarp (10 to 15 mm thick). Usually, a single subglobose seed is present, having a diameter of 2 to 2.5 cm and bearing testa closely coherent to the cotyledons. The tree bears fruit from early winter to the late fall. The fruit is bell-shaped, about 5 to 8 cm long. The fruit is pink to red in color with white texture flesh. The color of the flesh differs in the type of cultivar grown. 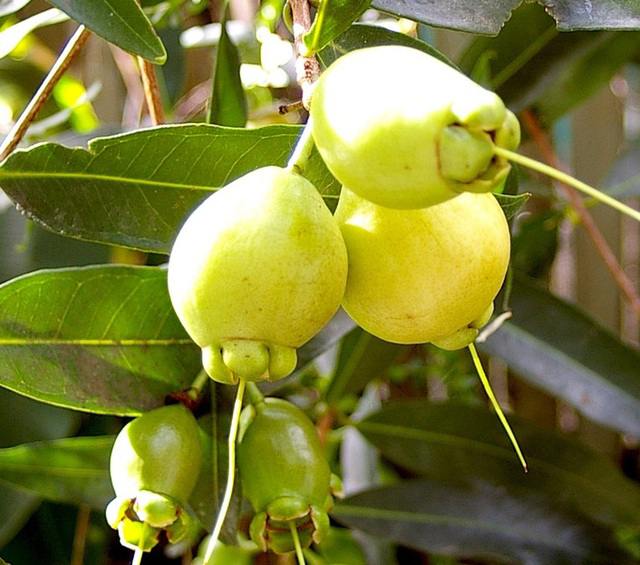 The fruits which are ripened have light and faintly aroma with moderate sweet taste. Each fruit possess one or two grey seeds. The fruit has got smooth and thin skin. Rose Apple possess rich amount of iron, calcium, fiber, Vitamin C, protein and Vitamin A. 100 gm of Rose Apple contains calcium (29 mg), potassium (123 mg), sulphur (13 mg). The same amount of Rose Apple provides Vitamin C (24.78%), Total fat (0.86%), Iron (0.88%) and Phosphorus (1.14%). Rose Apple is rich in Vitamin C which prevents the damage of free radicals, pollutants and toxic chemicals which leads to the health ailments such as heart disease, cancer and arthritis. Free radicals are developed in the body when the body is exposed to the radiation, tobacco or smoke and during the process of breaking down of food. Vitamin C enhances the white blood cells production and also assists in the functioning. As Vitamin C is an antioxidant, it eliminates the oxidative damage and enhances the smooth functioning. It is also believed that Vitamin C effectively boosts the immune system to counteract the colds. The presence of Vitamin C in the Rose Apples lowers the chances of stroke and health ailments such as inflammation, oxidative damage, cardiac health, atherosclerosis, blood pressure and endothelial health. The research summarizes that the development of plaque in the body results in the stroke or heart attack which could be reduced with the Vitamin C. 22 mg of Vitamin C is obtained from 100 grams of Rose Apple. Rose Apple is the source of Niacin which is used to add cholesterol. The studies shows that Niacin enhances the HDL cholesterol levels and reduces the triglycerides and LDL cholesterol. Dietary fiber in Rose Apple supports the digestive system in the material movement and stimulate stool which is helpful for those having the irregular stools or constipation. It supports in healthy weight and reduces the chances of heart disease and diabetes. Rose Apple also possess adequate amount of potassium which enhances the strength of muscles and reduces the muscle cramps which is lead due to the low level of potassium. An adequate amount of Vitamin A and C could be obtained from the Rose Apple which helps to prevent the damage from the oxidative stress caused from the poor diet, stress and pollution. It also reduces the dryness of the skin and reduces the wrinkles. Preclinical studies have shown that an extract prepared from the bark of the rose apple was effective against Staphylococcus aureus, Yersinia enterocolitica, Staphylo­ coccus hominis, Staphylococcus cohnii, and Staphylococ­ cus warneri. A phytochemical correlation suggests that the observed effect is due to the presence of increased amounts of tannin. An extract prepared from the leaves is also reported to be useful against A. faecalis, A. hydrophilia, B. cereus, and S. aureus. Studies have also shown that the phytochemicals friedelin, beta-amyrin acetate, betulinic acid, and lupeol, isolated from bark, are effective against the dermato phytes Microsporum audouinii, Trichophyton mentagro­ phytes, and Trichophyton soudanense. The ethanolic extracts of the leaf were also observed to be effective against Mycobacterium smegmatis. Additionally, the leaf extracts showed potent antiviral effects against herpes simplex virus types I and II and on the virus involved in vesicular somatitis. Recent studies have also shown that the leaf extract possesses potent antibacterial effects against Propionibacterium acnes, the organism responsible for acne. Chronic or recurrent inﬂammation in the tissues results in oxidative stress, and this may play a contributory role in the initiation and/or progression and promoting of cancer cell growth. Regular administration of non-steroidal anti-inﬂammatory drugs (NSAIDs) reduces the risks of certain cancers, thereby asserting the fact that modulation of cellular signaling involving chronic inﬂammatory response by anti-inﬂammatory agents offers an important strategy in molecular target-based chemoprevention and cytoprotection. However, long-term administrations of NSAIDs can cause ulcerations on the gastrointestinal tract, which may become a major clinical problem. Pain is deﬁned as an unpleasant sensory and emotional experience associated with actual or potential tissue damage, or described in terms of such damage. The sensation can be characterized as a multi-dimensional experience in which several components are involved: motivational, emotional, sensory-discriminative, affective, and cognitive. The analgesic drugs currently in use are either narcotics or non- narcotics, and have proven side effects and toxic effects. There is a need, therefore, for non-toxic agents that are safe and preferably of dietary origin. Avila-Peña et al. evaluated the analgesic potential of the hydro- alcoholic extract of the leaf of rose apple, using the standard hot plate and formalin tests, in rats. Additionally, the observed analgesic effect was enhanced by naloxone, suggesting a possible additive effect. An antioxidant restricts the molecules oxidation which damages the cells because of the production of free radicals which could be eliminated with Selenium, vitamin C, Lycopene, Beta Carotene, Vitamin E, Zeaxanthin and Lutein. Free radicals are the cause of various ailments such as Cataracts, Alzheimer’s disease, Cancer, Parkinson’s disease, diabetes, heart disease and cancer. The decoction made from astringent bark is used in folkloric medicine of Malaysia to treat thrush. It is served as salad at the childbirth ceremony. In India, the fruit is also used as a tonic to enhance the liver and brain. The fever could be lessened from the sweetened prepared from the flowers. The decoction made from the leaves acts as an expectorant and diuretic which treats rheumatism and also cures the sore eyes. The health conditions such as dysentery, catarrh and diarrhoea could be treated with the use of seeds. The people of Nicaragua use the infusion of roasted and powdered seeds to treat diabetes. The Colombia people believe that the seeds possess the pain killer properties. The root is used by the people of Cuban to treat epilepsy. Root bark and fruit are used in Chinese system of traditional medicine as a blood coolant. Fruit peel strengthens spleen, warm stomach and treat deep ulcers and tumors. Fruit is used as a tonic for brain and liver. Flowers have antipyretic effects and seeds treat dysentery, diarrhea and catarrh. Bark is used to treat asthma, hoarseness and bronchitis. Rose Apple could be consumed raw or preserved in the form of jellies and jams. It is also added in the desserts. It is also used to make the fruit sauce or syrup. Rose Apple possess the risk of toxicity. The seeds and roots are poisonous. The leaves, roots and stems of the plant contain the mysterious amount of cyanide or prussic acid or hydrocyanic acid which is could be harmful. Native East Indies and Malaya, also cultivated in Ceylon, the Pacific Islands, India and former Indochina. Calories in 1cup (100 g) 25 Kcal. 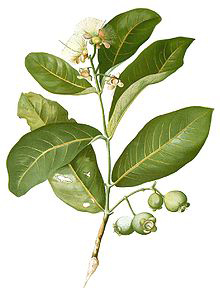 A decoction made from astringent bark is used in folkloric medicine of Malaysia to treat thrush. In the childbirth ceremony, it is served as a salad. In India, it is used to boost the liver and brain functions. Rose Apple is undoubtedly a stimulant for the brain and liver in India. The sweetened prepared from the flowers used to reduce fever. The sore eyes and rheumatism is cured with the decoction made from the leaves. Dysentery, diarrhea and catarrh are treated with the seeds. The infusion of roasted and powdered seeds is used to treat diabetes in Nicaragua. Rose Apple is believed to contain the pain-killer properties in Colombia. Epilepsy is treated with the use of root by the Cuban people. 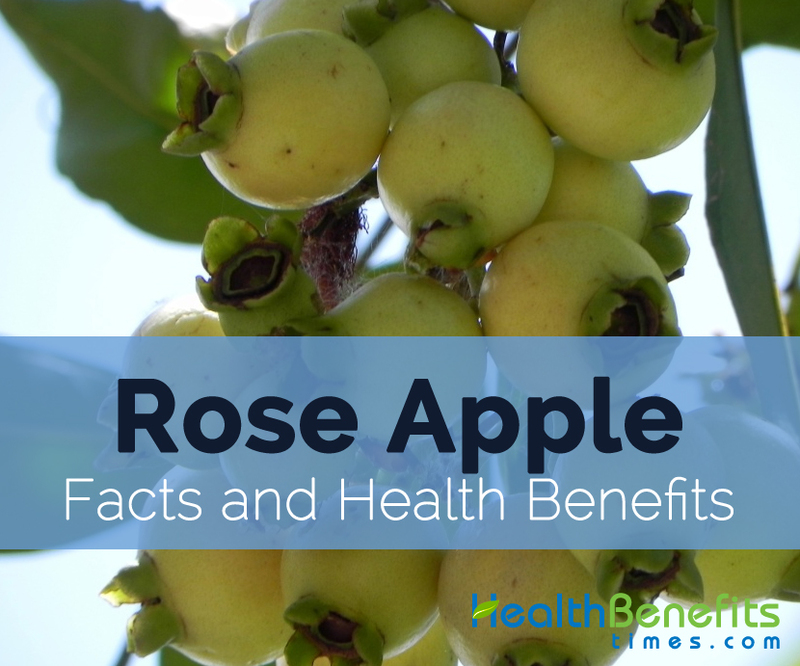 The rose Apple preparations possess high risk of toxicity. The roots and seeds are also poisonous. Hydrocyanic acid (cyanide or prussic acid) is present in the stems, leaves and roots in the numerous amounts which could be harmful to the body. People preserve Rose Apples in the form of jellies and jams. It is also added to the desserts. 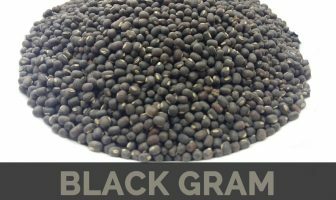 It is used in the preparation of sauce or fruit syrup. Rose apples highly perishable and easily bruised. The trees of Rose Apple bloom as well as fruit less in summer. 2 kg (5 lbs.) fruit is yield by the matured rose apple tree. Rose Apple enhances the liver and brain. The fruit acts as a stimulant for the liver and brain. The fruit infusion performs as a diuretic. Myrtus timorensis Zipp. ex Span. Calories 25 Kcal Kcal. Calories from Fat 2.7 Kcal.